“ACTS are an independent registered Trust. 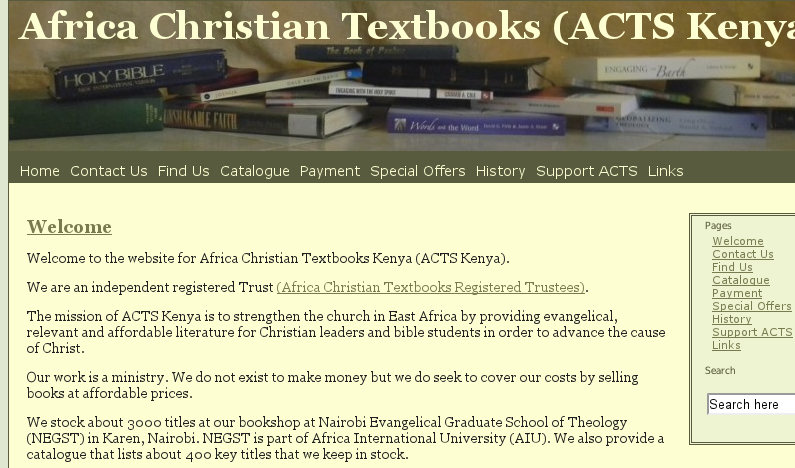 The mission of ACTS Kenya is to strengthen the church in East Africa by providing evangelical, relevant and affordable literature for Christian leaders and bible students in order to advance the cause of Christ. Our work is a ministry. We do not exist to make money but we do seek to cover our costs by selling books at affordable prices.” Simba’s brief was to product a simple and easy-to-use informational website to make information about ACTS available to a wider audience.